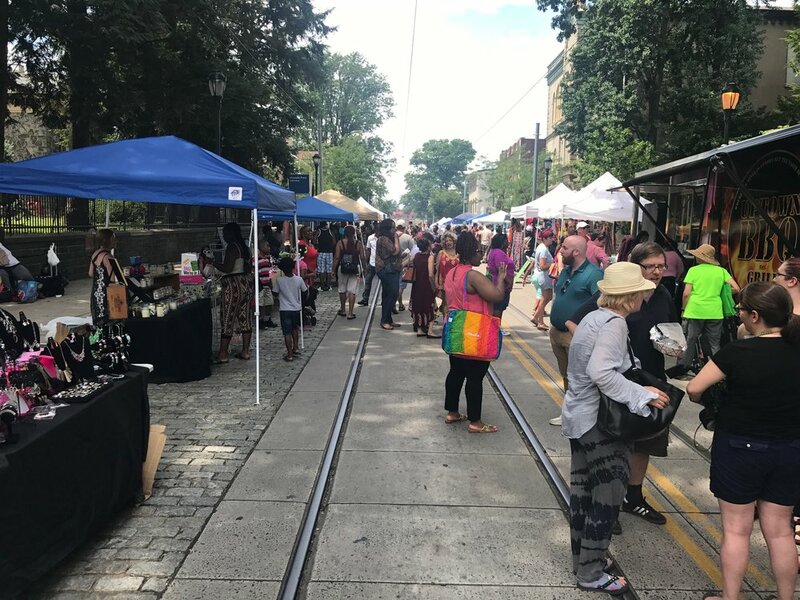 The business district of Germantown is unique in ways that should be experienced in person. From history to eclectic to modern you'll find it from the architecture to our businesses. The district is supported by a vibrant and diverse community of residents, who are also some of the small business owners and are passionate about the health, and positive growth of the community and the business district. Stay up-to-date on community happenings in and around the district on our Calendar or our Events page. Follow along with media coverage and other stories about out district and community at our blog, One Germantown. The Germantown District (GSSD) is one of 13+ Special Service Districts in the City of Philadelphia. The GSSD was originally created in 1995 and provided services to the Germantown and Chelten commercial area until ceasing operations in 2011. The GSSD is authorized as a Municipal Authority by City Council through 2025. On October 10, 2013, City Council led by the efforts and recommendation of Councilwoman, Cindy Bass (8th district, including Germantown) voted to re-authorize the GSSD with final signature from then Mayor Nutter. The GSSD was incorporated under and is governed by the PA Municipal Authorities Act 1945 P.L. 382. The board is governed by by-laws and articles of incorporation. Every five years that GSSD submits a plan and budget to cover a 5-year period of time. The plan lays out in a broad overview how the GSSD will spend assessment, grant and other funds. Both the plan and budget must be approved by the City Council of Philadelphia in order for the organization to operate. Our current 5-year plan was approved in October 2013 and is good until our fiscal year ends in September 2018. Learn more about our current Budget and Plan. "Germantown offers something for everyone. One can find art, history and amazing green spaces. It's a vibrant and complex community and a special place to live and work. As an artist and Germantown resident, I find inspiration in this community's people, past and present."